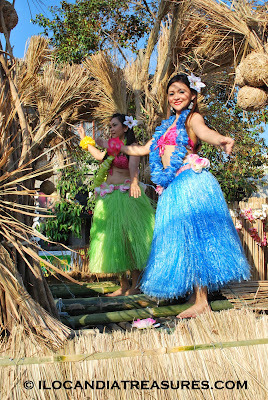 Another exciting event in the annual Pamulinawen Festival celebrations was the Grand Float Parade. Again the ingenuity of the Ilocano locals was showcased. It is because they decorated some big trucks, cars and pick ups with indigenous materials to parade around the city. 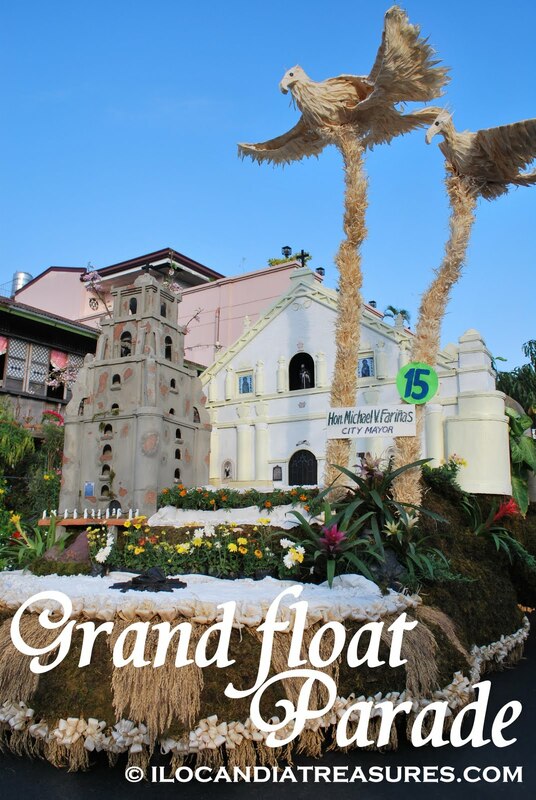 Each of the various organizations and establishments in Laoag has sponsored one float and that it carried its name together with their muses and representatives on board. 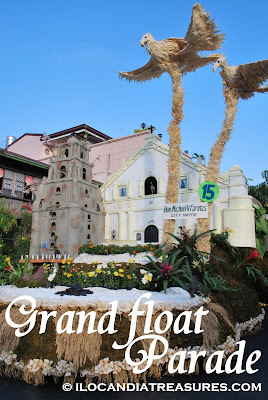 One striking float I have seen on this parade was the replica of St William Church with the sinking belltower on its side accentuated with two figures of birds being superimposed. This was also the time that the balikbayans from Hawaii and other places in the United States became visible who thus participated and supported the city fiesta. It was fascinating to see a twist in the float parade with some of the Hawaiian dancers swayed to a Hawaiian beat on board the float.